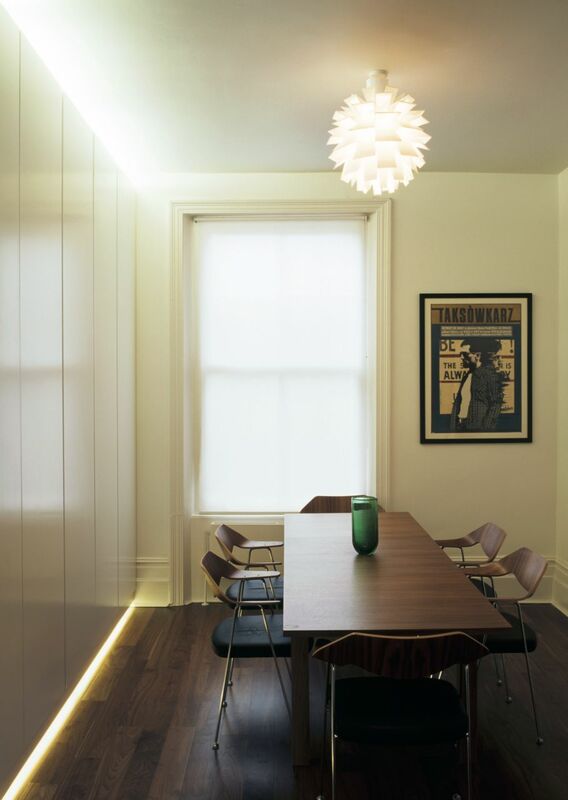 The project encompasses the addition of a lower ground floor and loft level to a Victorian terrace house. The interventions to the levels between the new portions of the house are treated as fragments of a notional whole project of which the two additions are the primary components. The particularities of English housing stock and planning legislation mean that the bedroom roof extension is a ubiquitous form of architectural intervention and in this project the space assumes the spatial character of a tree house or survey tower. The defensive character of the resulting architecture responds to traditional notions of the bedroom, while the opportunity for voyeurism evokes the fantasy of dreaming. The shower room design resists the widespread tendency for residential bathrooms to emulate a hotel ensuite. Instead, the incorporation of roof glazing and extensive outward views, together with the use of timber decking, establishes a strong connection with the domestic realm.